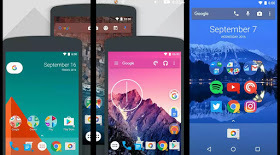 Android launchers are very useful app for every Android user. If you don ’ t like the way your home screens look or act , you can simply download an app to change all of it . These apps will help you to do so. 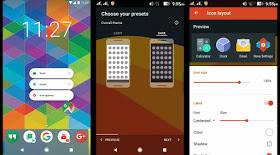 There is no doubt that these apps will help you to beautify your homescreen and give you some awesome shortcuts. 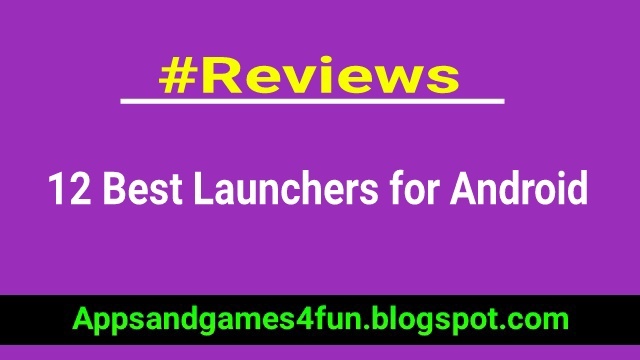 So let start our list of best launchers. This launcher has more control over your Smartphone to make your homescreen more beautiful. It has many options for design. 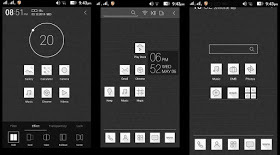 It has own themes, gesture control, widgets and more. It helps you to make your homescreen as you want. It is so fast and smooth launcher. It takes up only a small amount of space yet it can boost device performance. ~One of the first launcher that uses Material Design 2.0. ~Cleans cache to boost speed, clears storage and saves memory faster. ~New locker plugins make it easier to protect your device from unauthorized users. Action launcher is a very amazing launcher for android. It has several unique features which make it so you can quickly and easily make your home screen shine. It has a long history of being stable with frequent updates. It allows you to import from your existing layout from other launchers such as apex and stock android launcher, so you will instantly feel right at home. play store and it also supports icon packs. Fantastic app that has the potential to give your phone a complete makeover. It has best features for a good experience. This launcher has a unique feature. The idea with Arrow launcher is that you get a home screen to put your apps and such. There is a lot of preset home screens that will show you things like frequent contacts, reminders, recent documents and your frequent apps. This is a fast and styles launcher. You can personalize your device so that it matches your style. Customize icon packs, home page layouts, wallpapers, and more. has retaken its rightful place among the launcher elite. Most of the application have been reprogrammed and redesigned from scratch. Also they have added a lot of new features. Go launcher is a highly recommended launcher. It’s lightweight launcher for android. It can change the home screen into a beautiful home screen. 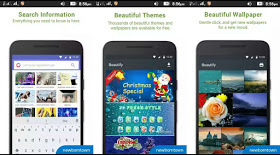 It has more than 10,000 beautiful free mobile themes and wallpapers. And also it is fully free than you can enjoy its every feature for free. It has many features. 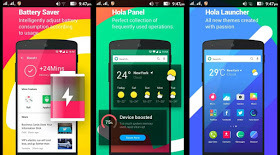 Hola launcher is also an excellent launcher for android. 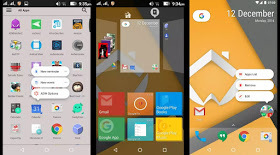 It is a simple and powerful launcher for android. It has some unique features like gesture controls; including a double tap app drawer and more. It has also feature to hide apps from app drawer. It has a lot of icons and themes to choose from. 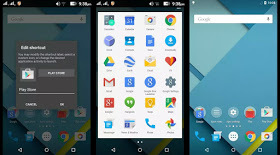 Launcher 8 is so unique because it does not look like Android. This launcher converts your phone into a Windows phone. If you use this launcher, you may feel like you are using a windows phone. 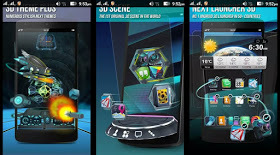 It has also themes, wallpaper, widgets and more. 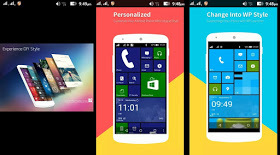 This fast and clean launcher you can customize personalized Windows phone layout for your android phone. It’s a very good launcher. 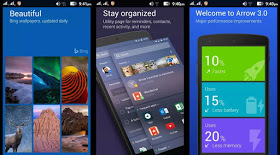 This launcher is the top launcher for modern Android. This launcher has all features that we find in other launchers. 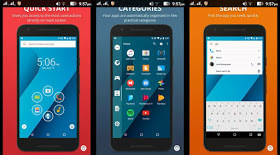 It has a lot of features including gesture support, icon packs, best themes, and other features. It has also backup and restore for your home screen. In updated version new features are also added. This launcher has one single home screen with a number of shortcuts arranged in a pattern. It may be so simple for some, but powerful and works very well. It gives access to apps quickly while using as little resources as possible. It helps your device to run quickly. It has tons of available themes, security features like password protected applications and more. 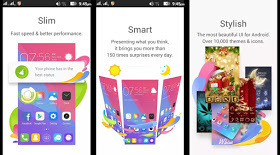 This launcher makes your device more intuitive and well organized. Atom Launcher is also a powerful and great launcher. It has theme maker and you can find a variety of theme for it on the Google play store. It has also gesture controls. You can find built-in widgets, icon pack support and other settings and customizations. It is light and much efficient and has enough features to make it better than other. Give your feedback if you think I missed something. Excellent article. Ӏ аm experiencing ɑ feԝ օf these issues аs ᴡell.. Thanks for your feedback. 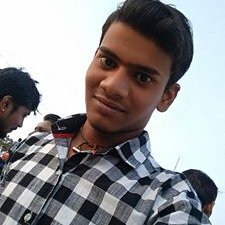 I will try to fix all issues.